BEST OF LUCK TO JUNIOR BISON LYNXX WHITE IN THE NAIG GAMES IN TORONTO JULY 17-21. 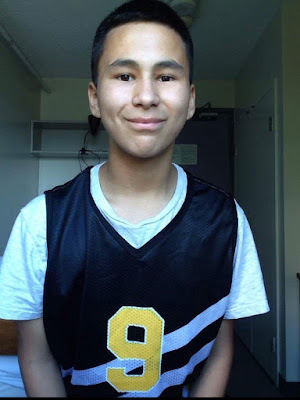 CONGRATULATIONS TO LYNXX WHO EARNED ANOTHER SELECTION WITH BASKETBALL TEAM MANITOBA 14U. THE TORONTO 2017 NORTH AMERICAN INDIGENOUS GAMES WILL HOST MORE THAN 5000 PARTICIPANTS FROM BOTH CANADA AND UNITED STATES WITH 26 BASKETBALL TEAMS COMPETING. WE BELIEVE LYNXX WILL HELP HIS TEAM WITH HIS FUNDAMENTALLY SOUND GAME, HIS PASSION AND HIS WORK ETHIC.